Whether your daughter is a student athlete or just loves to get outside, she needs the right tools and gear. And that means having the right clothes for the activity. Get her items that can be worn at practice and at school or home. 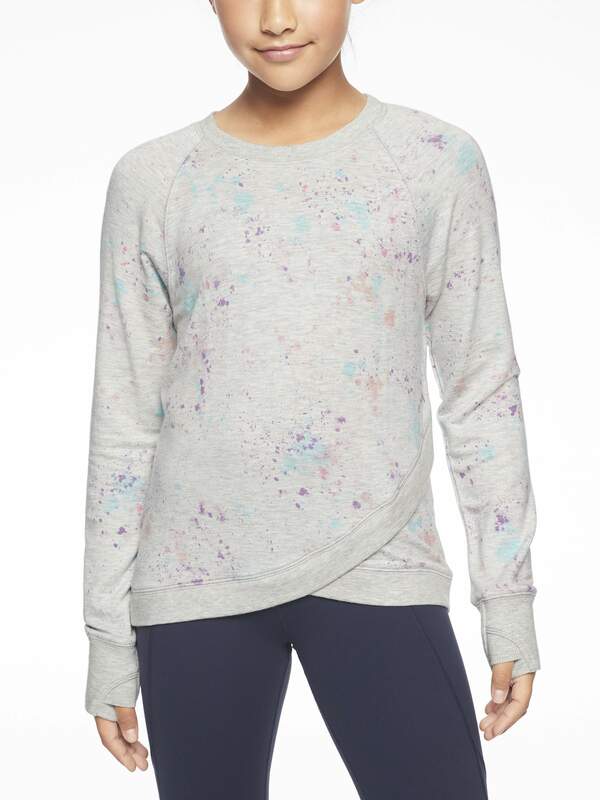 We love the and versatility of these Athleta Girl items — from soft, stretchy leggings that can be worn when active or under a dress to warm-down jackets that ward off the chill during winter practices or when she’s watching a game from the sidelines. 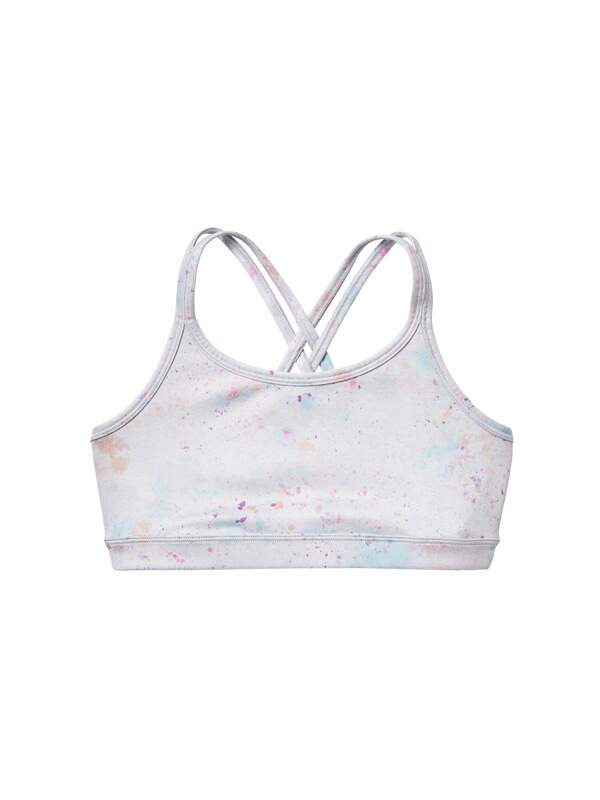 Better yet, this isn’t just generic activewear. 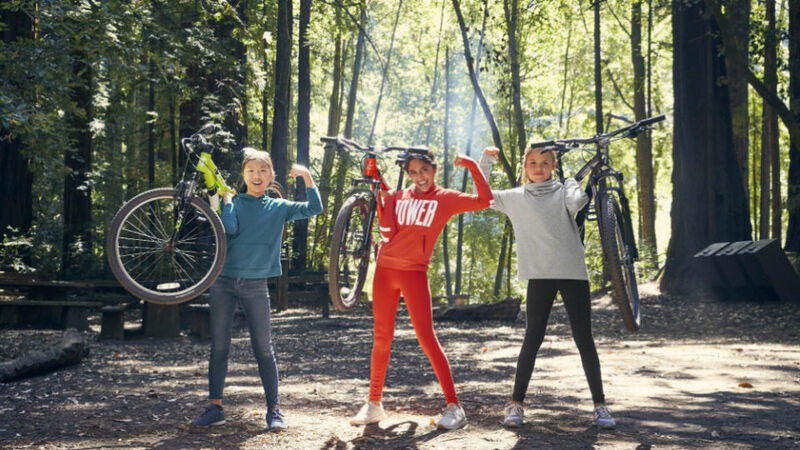 It’s durable clothing with style, so your girl can express her creativity whether she’s running drills, hiking in the woods or lounging at home. Take a look at some of our favorite items, and then get ready to stock up for the holidays. This post is sponsored by Athleta Girl. 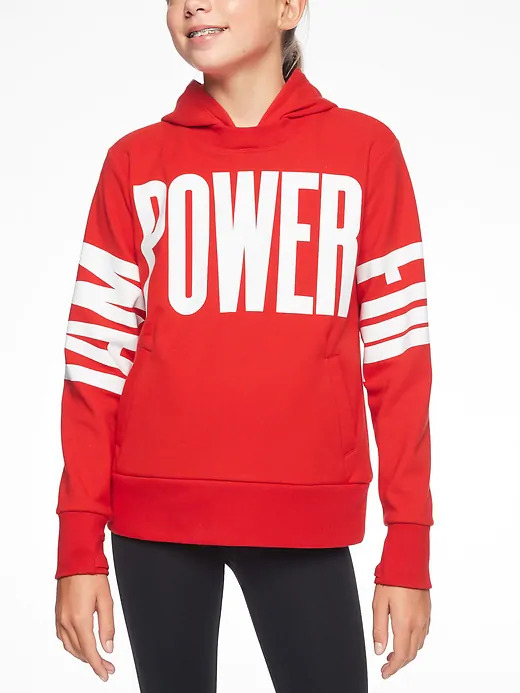 She’ll never forget her strength in this bright red hoodie. 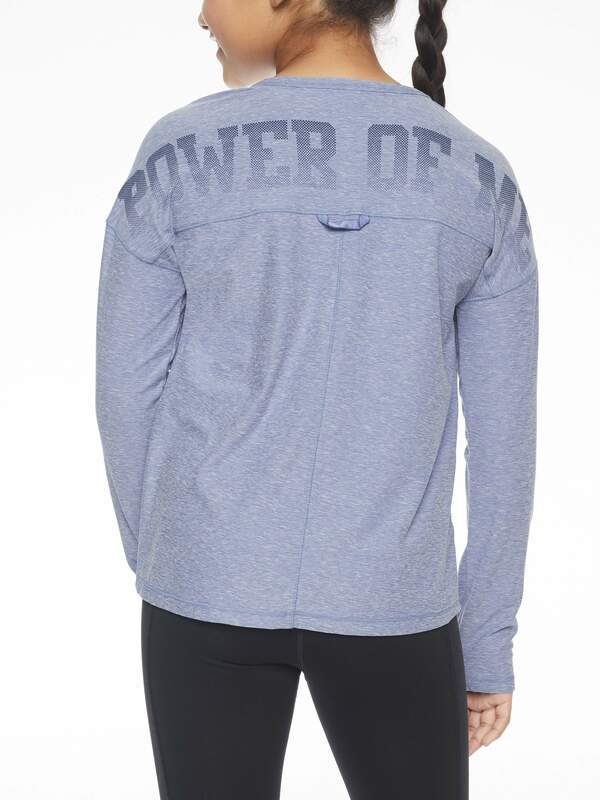 With the words “I am powerful” emblazoned across its sleeves and chest, it’s perfect for game day. Besides constant inspiration, it comes with hidden front pockets, thumbholes that keep sleeves in place and a hair tie so she’s ready to go. A girl in these soft leggings is sure to stand out from the pack. The bright side stripe sets them apart from basic black, and a hidden pocket in the waistband makes them everyday practical. You can literally never have enough leggings, and if your girl is into yoga, you know that’s doubly true. Get her a pair of stretchy, supportive, colorful leggings so she can work on her crow pose in comfort and style. 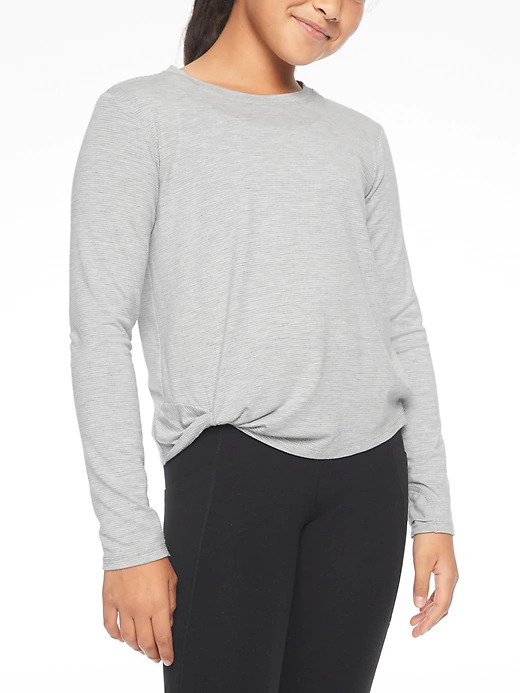 Add a twist to the everyday crewneck with this semi-fitted shirt that has a ruched back detail as well as thumbhole sleeves — the better for staying put with. Hanging on to keys and a phone can be a pain, but these tights make it easy — they have pockets! Plus, they're made from moisture-wicking Powervita fabric, which is buttery soft, breathable and UVA-protected with UPF 50. Is your girl bored with neutral-colored leggings? Give her a wardrobe as bright as her personality with these striped colorblock tights. They’re soft and stretchy, with a hidden envelope pocket in the waistband. 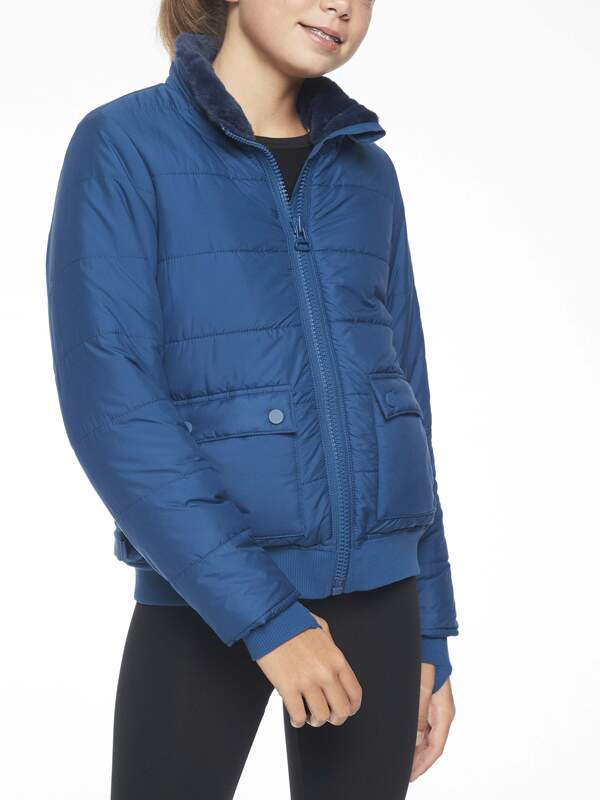 Make sure she's warm and cozy with the water-resistant Warm Wishes jacket that's made from post-consumer plastic bottles to help lessen our impact on the world. She'll love how plush and cozy it is with its faux fur lining, and you'll love that it's machine washable and dryer-friendly. A win-win. 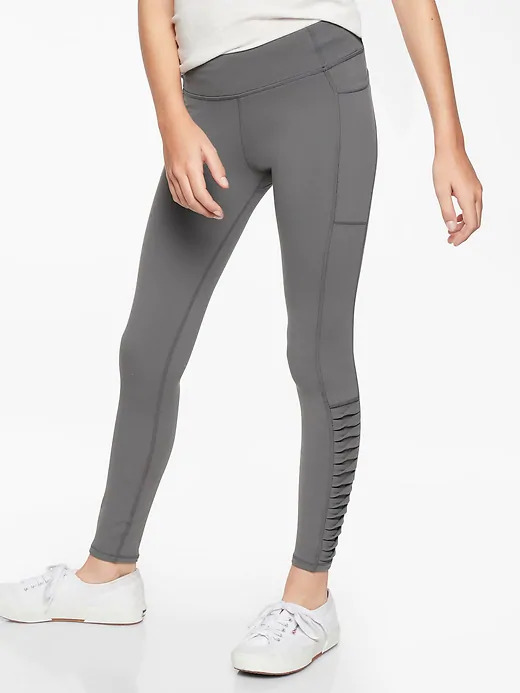 Soft, stretchy and completely comfy, these gray leggings have a side twist pattern that offers ventilation so she can stay cool no matter how active she gets. Dancers will appreciate these super-soft leggings that are as at home on the dance floor as they are in the break room. 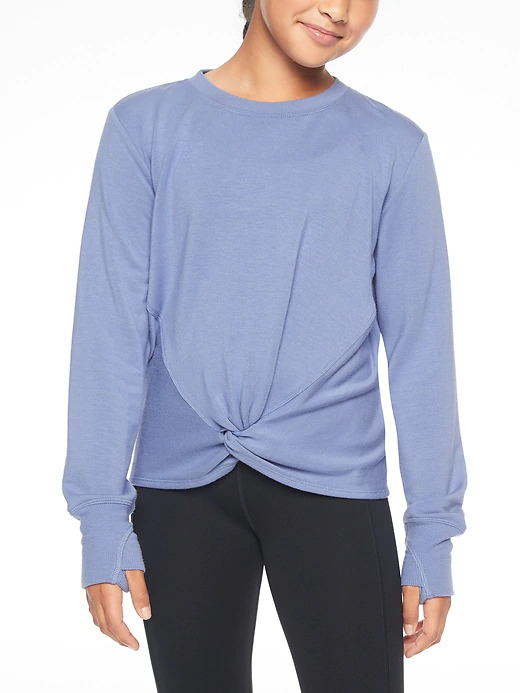 A wear-anywhere, up-for-anything top that can fly solo or be the perfect base for layering on cooler days. 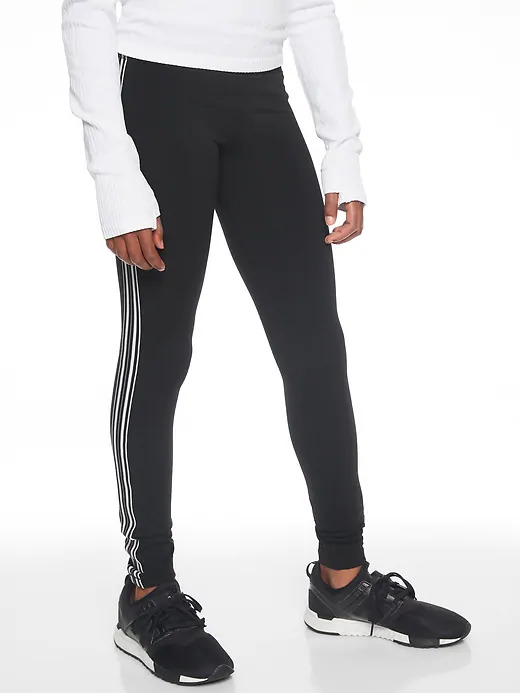 Sign your girl up for anything in these soft black leggings that get just a hint of pretty from ruched detailing on the back seams. A ribbed waistband and fully adjustable drawstring ensure pure comfort all day long. 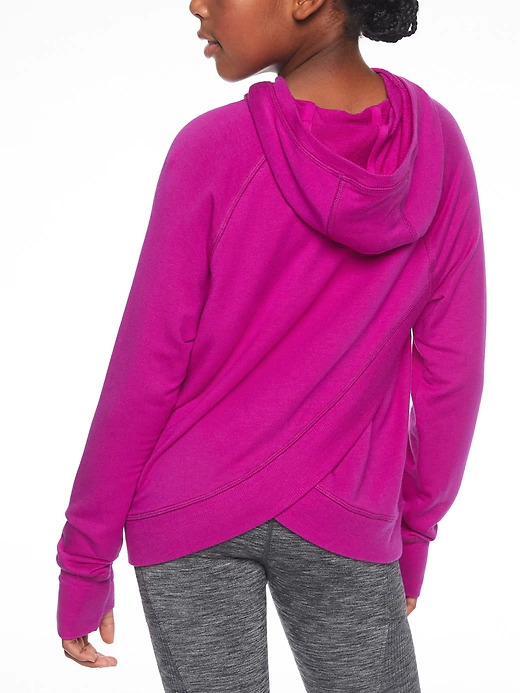 Fashionable, fun and full-on cozy, this hoodie with a crossover back has super-soft brushed fabric inside for maximum comfort. 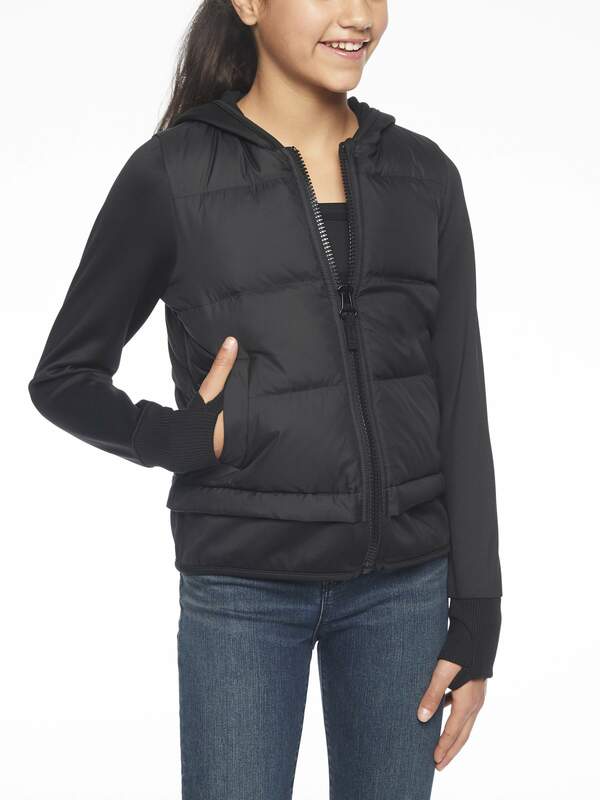 It’s perfect for cool-weather activities and everyday lounging. The answer to her cold-weather prayers, these cozy tights manage to be lightweight and cozy. With fleecy fabric on the inside for extra warmth without the bulk, she just might wear these every day until April. 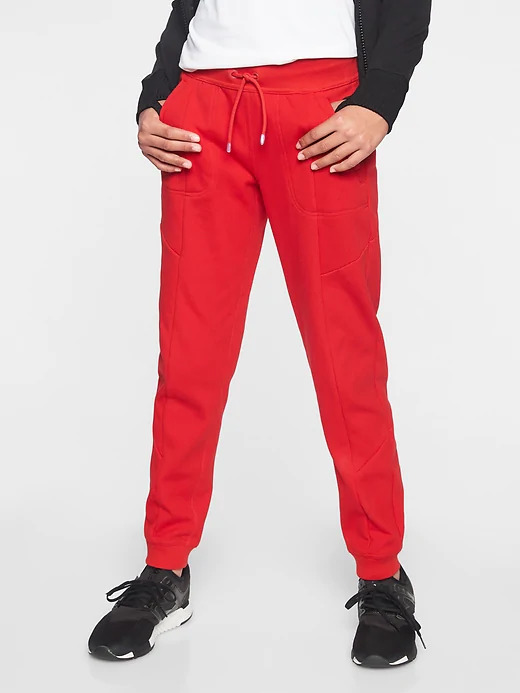 These red joggers have a super-soft fleece lining, making them a cold-weather favorite. They also come with side-zip pockets and an adjustable drawstring waist for maximum comfort.